Sonia is Chair of the firm’s National Litigation Department and Immediate Past President of the Advocates’ Society. Sonia has extensive experience defending companies in class actions, commercial arbitration and other complex litigation, including advising clients on strategies for managing risks and cross-border issues in multi-jurisdictional cases. She defends complex product liability claims involving pharmaceuticals and medical devices, manufactured products, and food and beverages. She litigates business-critical issues related to commercial agreements, directors' duties and shareholder remedies. Sonia is a key contact for Osler’s Class Action Defence Group. 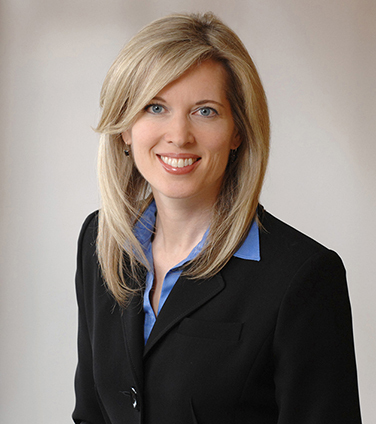 Sonia is ranked among Canada’s top litigators in Chambers Global (Dispute Resolution and Product Liability), Lexpert (Class Actions, Product Liability, and Corporate-Commercial Litigation), Best Lawyers (Class Actions and Product Liability) and Benchmark. She is named as a leader in class actions in the Lexpert Guide to the Leading US/Canada Cross-Border Litigation Lawyers in Canada. She is rated AV Preeminent in Martindale Hubbell’s Peer Review Ratings. She is an elected member of the Federation of Defense and Corporate Counsel (FDCC). Sonia is a frequent speaker and author on class action and commercial arbitration issues. Sonia is also currently serving as a Canadian delegate on the Advisory Committee on Private Commercial Disputes, also known as the NAFTA 2022 Committee of the NAFTA Secretariat. Prior to joining Osler as a lawyer, Sonia clerked for the Court of Appeal for Ontario. Chambers Canada: Canada’s Leading Lawyers for Business, 2017-2019: Litigation: Products Liability (Nationwide). Chambers Canada: Canada’s Leading Lawyers for Business, 2016-2019: Litigation: General Commercial (Ontario). "Sonia is a very solid litigator and a tireless advocate. She leaves no stone unturned in her approach to preparing and presenting her client's case; she is very responsive and extremely dedicated." Chambers Global: The World’s Leading Business Lawyers, 2013-2015: Dispute Resolution – Ontario. The Canadian Legal Lexpert Directory, 2014-2018: Class Actions; Product Liability; Corporate Commercial Litigation; Commercial Arbitration. The Lexpert Guide to the Leading US/Canada Cross-border Litigation Lawyers in Canada 2017: Litigation - Corporate Commercial; Class Actions (since 2013). The Lexpert/American Lawyer Guide to the Leading 500 Lawyers in Canada, 2017: Class Action. Benchmark Litigation Canada, 2017-2019: Arbitration; Class Actions (Litigation Star). Benchmark Litigation Canada 2015: Arbitration; Class Actions (Future Star). The Best Lawyers in Canada, 2019: "Lawyer of the Year", Product Liability Law. The Best Lawyers in Canada, 2014-2019: Class Action Litigation; Product Liability Law. Who’s Who Legal: Canada - Product Liability Defence 2018. Martindale-Hubbell Peer Review Ratings: AV Preeminent (since 2013). Is Canada ripe for a food label fight? Are class actions going to trial more often? Product liability defence white paper: Does pre-emption exist in Canada? 2013 Theme 1: Class Action Waivers Different From Arbitration Agreements?